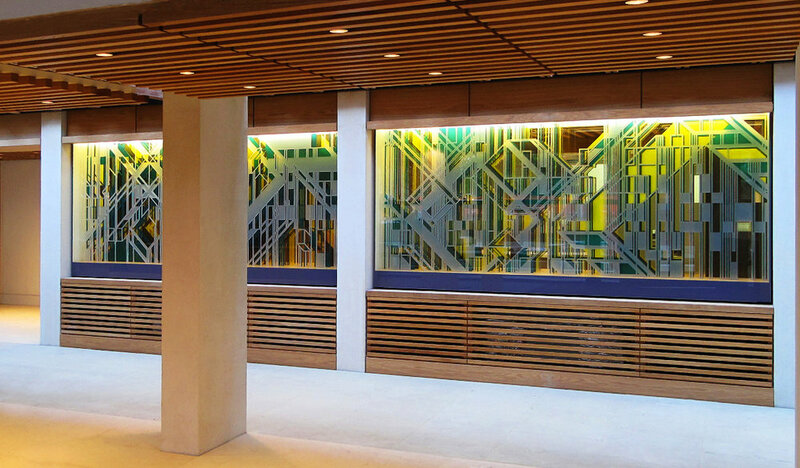 In 2010 Monroe completed Palimpsest, a permanent artwork within the new Kendrew Quadrangle building at St John's College Oxford, designed by MJP Architects. 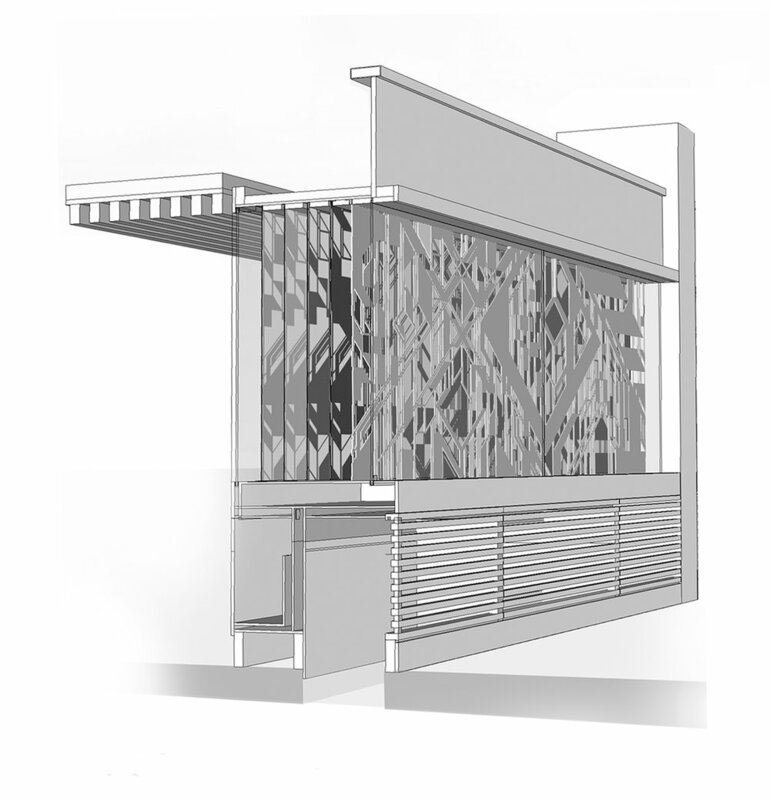 Monrow was shortlisted and eventually won the commission via the art consultant Modus Operandi. The building's name commemorates Sir John Kendrew who shared the 1962 Nobel Prize in Chemistry with Max Perutz for using x-ray crystallography to photograph the shadow of a haemoglobin molecule. In an astounding feat of inference, Kendrew was able to deduce the structure of the molecule from its shadow rather than seeing the object itself. The proposed idea reflected this process of 'knowing' something by inference, where perhaps only a shadow is all the evidence one has of the object in question. 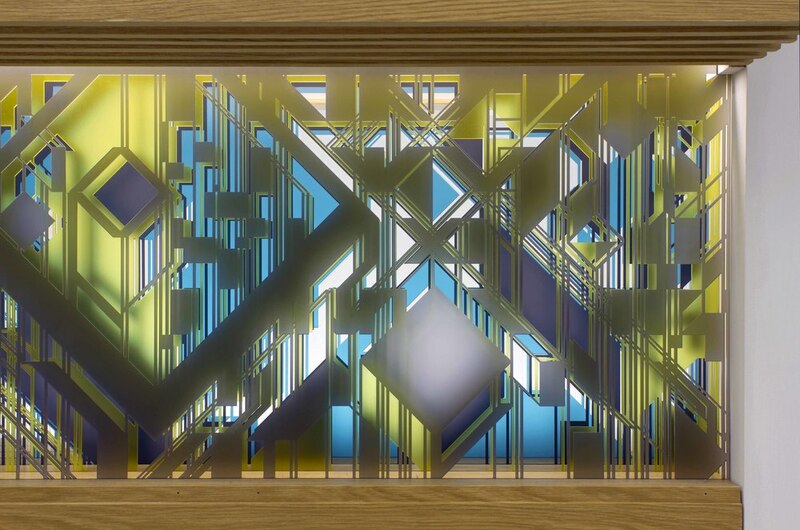 The resulting artwork is a text from the St John's College founders letter written in 1566 by Thomas White that has been abstracted and deconstructed but still retains the original script encrypted in a kind of 'shadow'. A view of the the Kendrew Quadrangle after completion. The art commission can be seen along the long wall to the left of the image above.